There are over 16 million boats and watercrafts registered in the country today, and the incident rate of boating accidents is continually increasing. Each year thousands of people are killed or injured due to boating accidents and boat malfunctions. The most common types of watercraft to be involved in a boating accident include powerboats, cruisers, jet skis, and sailboats. Maine personal injury attorneys, Hardy, Wolf & Downing, have over 30 years experience and fighting for the victims and families of those involved in boating accidents. According to statistics from the U.S. Coast Guard, in 2009 there were 4,730 boating accidents in which 749 people were killed and 3,358 people were injured. While you personally may know how to properly navigate your vessel, that doesn’t mean other boaters sharing the water are as knowledgeable or as cautious as you. In fact, careless and/or reckless operation of a boat is the number one cause of boating accidents. Hardy, Wolf & Downing, Maine’s boating accident lawyer team, has a long history of pursuing lawsuits related to injuries sustained on New England’s waterways. Our area has some of the most inviting waters anywhere in the country. Incidentally, the combination spells trouble for less experienced, recreational boaters getting in over their heads and causing trouble for others at sea. Private boats — The operator of a private vessel owes an absolute obligation to the safety of any passengers. We handle all types of injuries, including collisions with other boats, docks or bridge abutments, and people thrown overboard or injured while on deck. Charter boats and ferries — Captains of commercial launches and ferry boats are held to a high standard of responsibility. The operators and owners are responsible for injuries related to crashes or injuries because of the decision to sail in rough seas. Personal watercraft — We handle “wave-runner” or “jet ski” accidents, including collisions with other boaters or fixed objects, swimmers hit by a personal watercraft, and people injured when thrown from a personal watercraft. 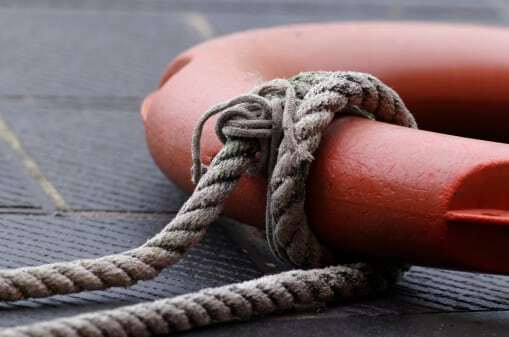 Marina/dock accidents — It is not uncommon to have slip-and-falls or other injuries due to rotted, slippery or poorly maintained docks, as well as refueling explosions or other mishaps at marinas. Drunk boating — Operating a boat or watercraft while intoxicated is a criminal offense, and drunk boaters who cause accidents are liable to victims for any injuries caused. Boating accidents can result in serious injuries including burns, broken bones, back/neck injuries, spinal cord injuries, head trauma, and even death. The Maine boat accident lawyers of Hardy, Wolf & Downing have represented hundreds of boating accident clients who were seriously injured while boating, fishing or using a personal watercraft. We can help determine whether your injuries are due the negligence of another or due to faulty or improper equipment. Call us today at 1-800-Injured to set up your free consultation.